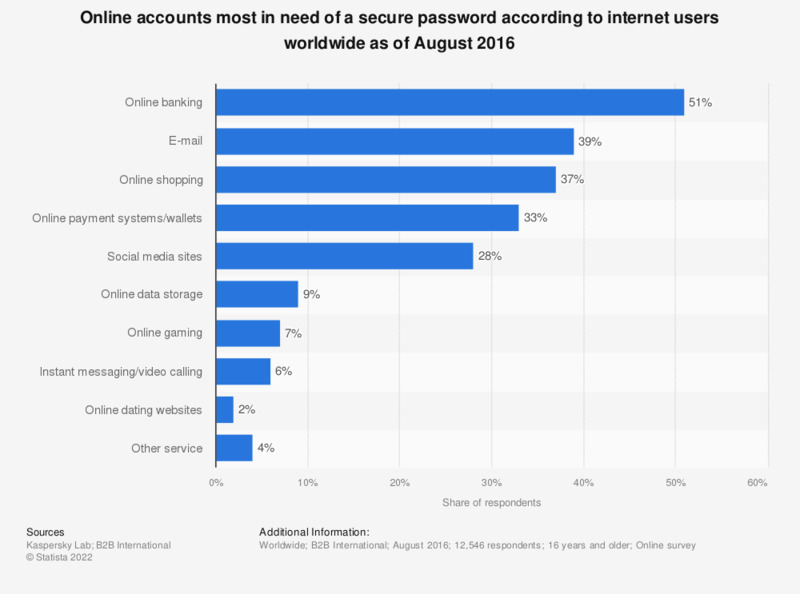 This statistic shows the online accounts most in need of a secure password according to internet users worldwide as of August 2016. During the survey period, 51 percent of internet users stated that online banking was most in need of a secure password. Do you use the same password for different internet accounts?